Did you know that there is etiquette to be followed when building a fence? Who gets the “better looking” side of the fence, or what we call, the side with no character – flat side? Who’s in charge of the maintenance? Should I talk to my neighbors about installing a fence? Did you know that trees and hedges can also fall under the fence category? Living in the Upper Peninsula of Michigan, chances are that your nearest neighbor may live a couple miles away, but, on the other hand, they could be a few feet away. Either way, we recommended following this guide to help avoid any neighborly feuds and miscommunications. It would be a bummer if you had to tear down your fence and reinstall it a few inches or a couple of feet from its initial location because it crosses a property line! One way to avoid this all together is to study a plat book in your area. If it is still unclear where your property starts and ends we recommend seeking assistance from your local land surveyor, which is the best option. You may be on the same page with your neighbor as to where the property line is located but that may not be the case if they move out and someone new moves in. Some cities may be able to help you locate property lines as a precursor to consulting a land surveyor, however, this is a rare occurrence. Though you aren’t required to tell your neighbor your plans, it’s considered a courteous gesture to help ensure you don’t sour your relationship between each other. You may be putting up a fence to safeguard your pets and family from would-be threats but your neighbor might think that you are trying block them out. For example, a 6 foot tall fence would create a totally different impression than a 4 foot fence. 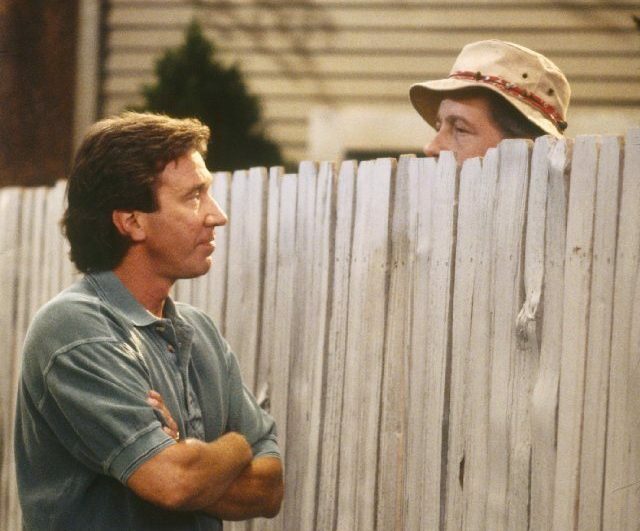 A 4 foot fence is often chest high on most adults allowing you and your neighbors to interact with one another. On the other hand, a 6 foot privacy fence can also benefit both neighbors by offering total privacy. If you or your neighbor frequently entertains guests, enjoy laying out in the backyard on hot summer days, or like to enjoy a nice cold beverage, a 6 foot fence may be the better option. This way you can both enjoy all of the previously mentioned activities without you or your neighbor feeling awkward when you’re in your backyards. When planning out your fence, it’s a good idea to take into account what the rest of your neighborhood might look like, choosing a style that matches a common theme may reduce the amount of resistance from your community. Maybe your neighbor has been considering putting one up too, which might be great if you both decide on a certain look and split the cost. This doesn’t happen often but communicating your thoughts and ideas with your neighbors might increase your odds. During your conversations, mention the maintenance that would need to take place. If it is your fence then you are responsible for cleaning both sides. Your neighbor might volunteer to clean the side facing their property. To sweeten the deal, you could also offer to your neighbor the option to paint the side of a wooden fence that faces their property. If it is your neighbor installing the fence, you must get their permission if you want to make changes to the fence, like painting it. Also, if you are part of a Homeowner’s Association (HOA) you may be limited to styles, heights, and types, detailed communication is key to keep things running smoothly. We do want to give you a bit of advice for those of you who have “one of those neighbors” – the type that just can’t be pleased and won’t agree with any of your plans. After every failed attempt to see eye to eye, it is your fence on your property and you are allowed to do what you please with it – provided that you abide by all of your local ordinances and HOA rules (where applicable). What is the front side of a fence? 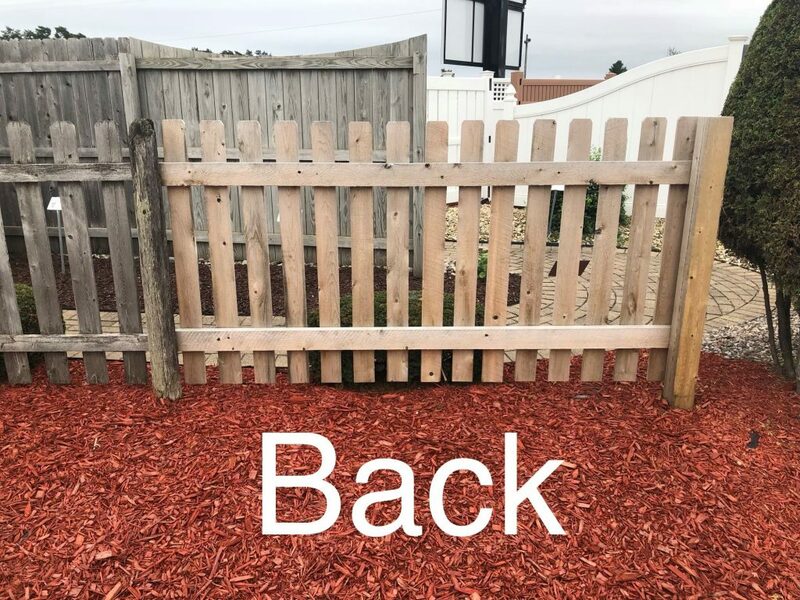 The front side of a fence is considered to be the flat side of the fence, some would say the “better side” and the back side contains the mid-rails and posts. Some fences might not even have a “front” or “back” side, meaning that they look the same on both sides. These types of fences are considered to be “good neighbor” designs and are common among vinyl fences. You can achieve the same look on both sides of a wood fence by adding pickets to both sides of the fence or choose a shadowbox design that has alternating pickets on each side. picket fence. Also, not only is it more appealing to have the flat side facing outwards, it’s also safer and more secure. If the post and rails faced outward a would-be thief would have an easy foothold to help jump the fence and onto your property. Who knew just a few tips could help you ensure that you continue to be on good terms with your neighbors? We take pride in helping our community become educated when it comes to fencing. If you have any questions give us a call and we’ll be more than happy to help! Subscribe to our YouTube channel, our Facebook page, and also our blog page on our website to stay up to date on what’s happening at Delta Fence & Construction! We will be posting useful content just like this periodically to help you become more educated fence owners. Stay tuned for more! For more information on your new fencing project or any other questions you may have, reach out to us by calling (906) 786-1076. You’re definitely right that it’s important to communicate with your neighbors when putting up a fence, as they’ll have it bordering their property line as well as mine. 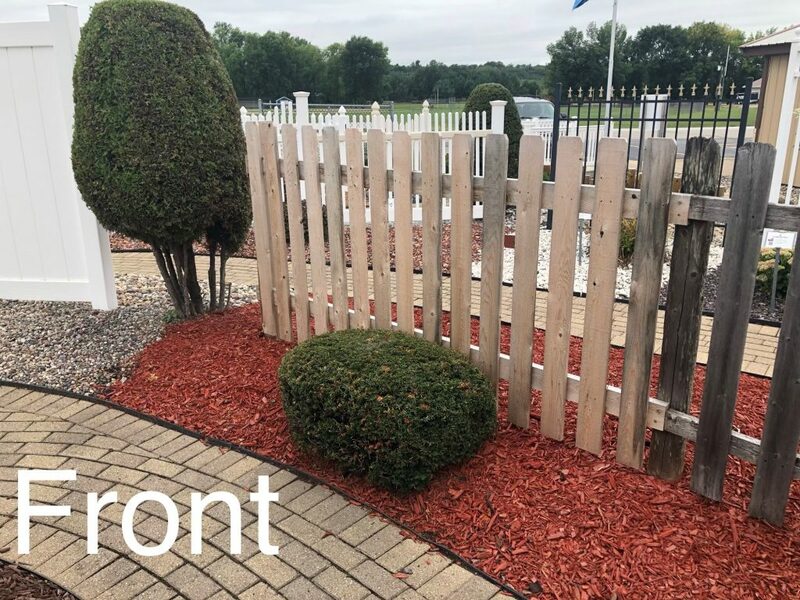 My husband and I want to set up a fence to help keep our dog in the yard when we send him outside, and we’re pretty sure that our neighbor won’t mind us doing so as long as it looks neat and professional, though your tip to offer to paint their side is definitely worth considering. It’s good to know that we should have the front of the fence facing them, as well, and I do agree that doing so would be more polite than having the raw side face them.